Ocean Books and Art is offering "Digital Photographic Enhancements and Corrections" for anyone seeking to know how to use PhotoshopElements 11. Their photographic artist Bob Carlsen will present the 2.5 hour class on four consecutive Tuesday nights starting September 10th at 6:30 pm. 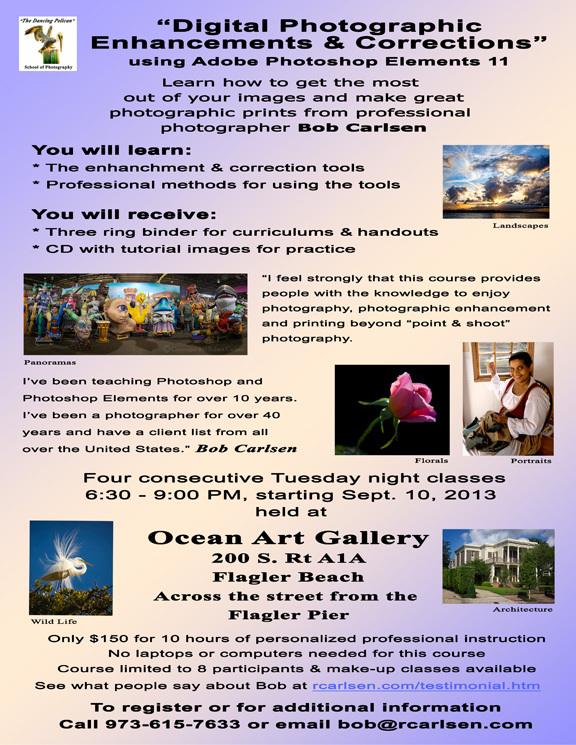 Ten hours of personalized instruction will help you to take and produce exceptional pictures. Sign up today.